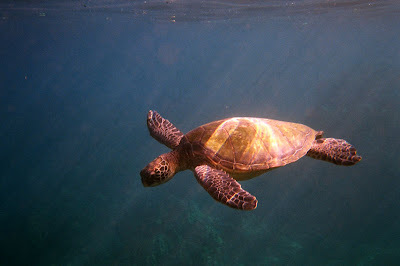 I have just returned home from a week on Maui, and took some really nice underwater pictures of green sea turtles. 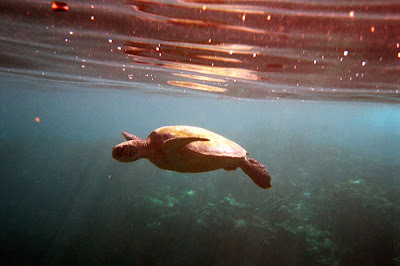 These were taken while I was snorkeling at Black Sand Beach in Wailea. 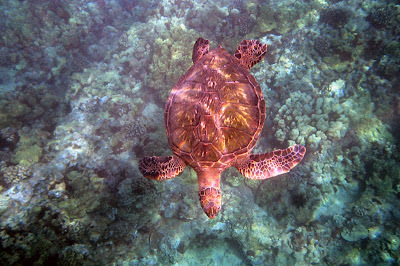 Ironically, my best pictures were all taken while snorkeling and not scuba diving... The ocean was very accommodating this day. 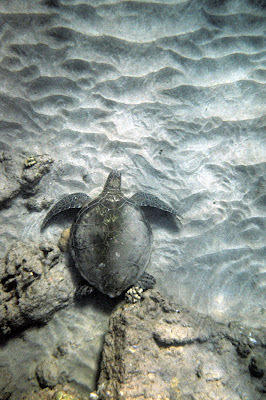 This is one of the turtle on the sand is one of my favorite underwater pictures of all time. Thank you. I hope you enjoyed my photographs.